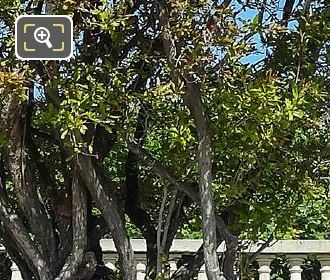 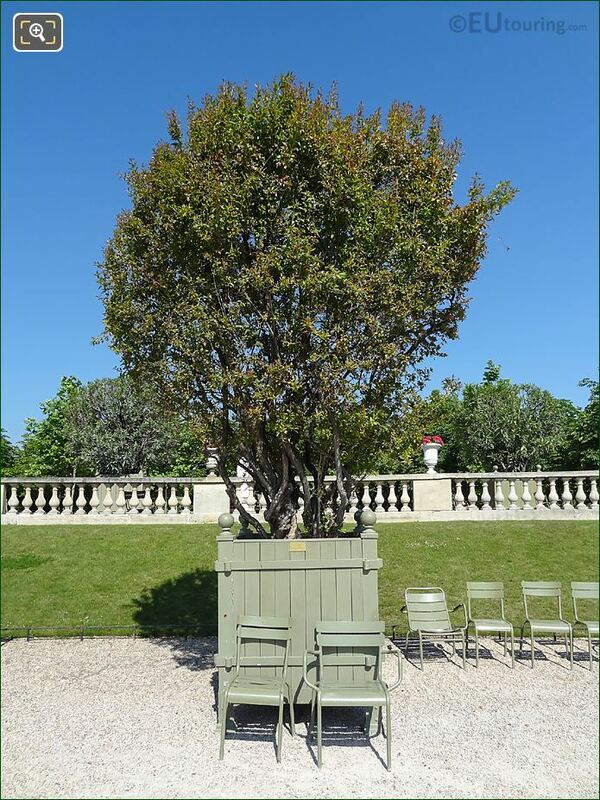 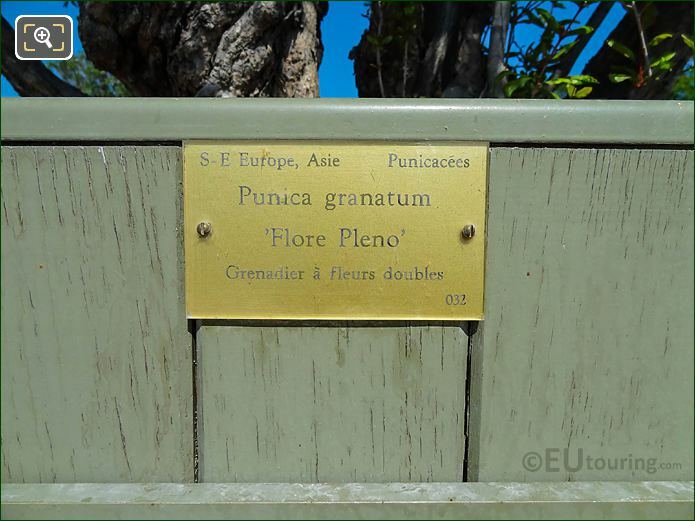 This first photo shows a Punica Grenatum Flore Pleno, which is basically a Pomegranate tree, that has been planted into a green wooden crate that has 4cm thick oak panels and has been numbered pot 32, which is one of many pots looked after in the Luxembourg Gardens. 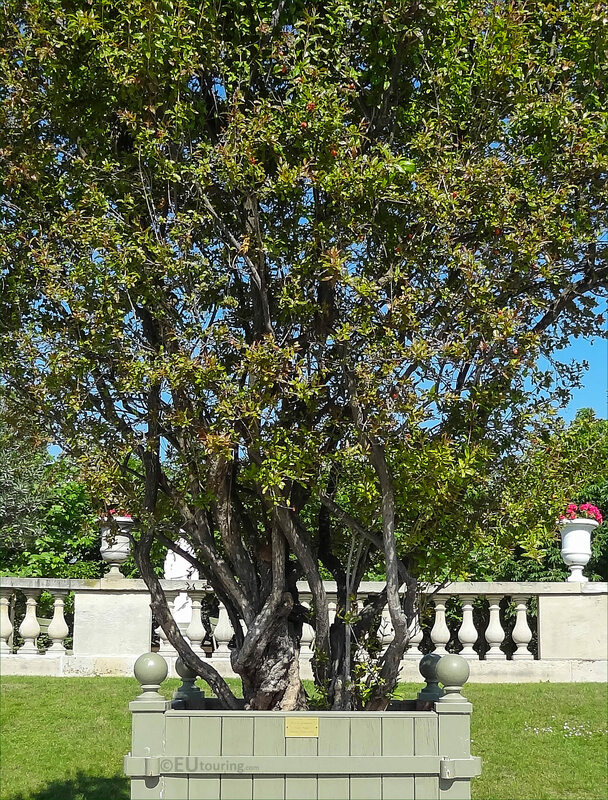 Now many people have heard of the health benefits of Pomegranate and this has been a renowned fruit in numerous different countries and cultures for centuries, and is cultivated in many different places, and the more mature the tree, the more twisted the bark with its multiple trunks can become, like you can see in this image. 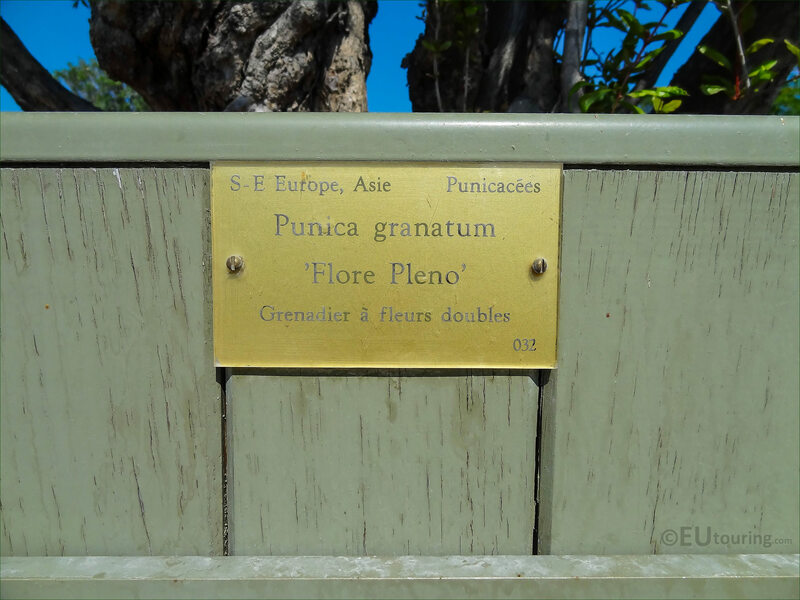 However, there are different varieties of the Punica Granatum Flore Pleno, and as you can see from this close up photo showing the tourist information plaque attached to the crate, pot number 32, this is a double flower variety, which does not yield much fruit in comparison to some, so it is more ornamental with beautiful flowers that look similar to carnations when in bloom in late summer.